WHY IS THERE EVIL AND DEATH IN THE WORLD? 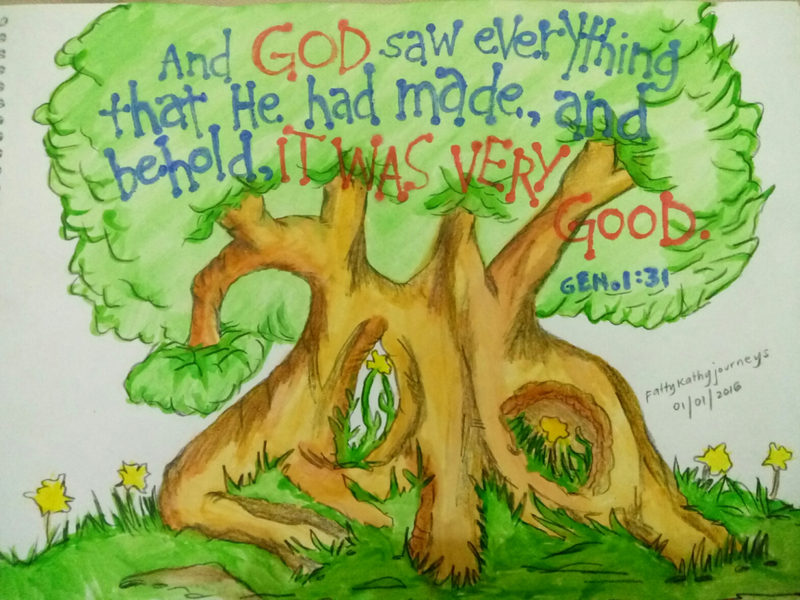 As the first chapter of Genesis unfolds, the emphasis is surely that the creation is good. It was not flawed from inception. It was not evil when God made it. Nor was there was anything latent within it that should cause the creatures God to experience death, decay, or any manner of degeneration or diminishment. This post is taken from the book, REVISING REALITY: A LOOK INTO BIBLICAL COSMOSOGY, VOLUME 1. This article has been drawn from and updated from the Introduction to the book. Revising Reality is available from many ministries focused on Bible Prophecy in the United States and from Amazon, iBook (Apple), Nook (Barnes & Noble), and LuLu. Published by Faith Happens Books, the four authors are Anthony Patch, Josh Peck, Gonzo Shimura, and S. Douglas Woodward. The Foreword was graciously provided by Stan Deyo. The subject of Good and Evil is vital to a proper understanding of the nature of God, humanity, the problem of sin, and how God has made a provision for sin. It is also vital to understand that “sin and death” are connected. The death of Christ on the cross broke both the power of sin (our living clutched in its power) and death (our forever living apart from the presence of a holy God). Rightly understanding Good and Evil is a key to understanding the Cosmos. 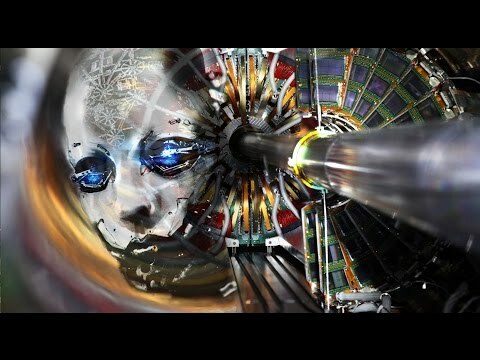 This weekend, a DVD focused on CERN has been released and is available on Amazon, entitled: DVD DECODED. 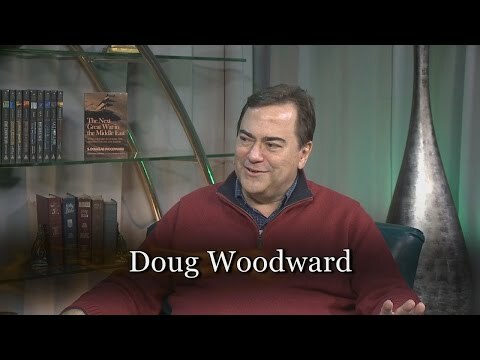 It is a 123 minute intense discussion between Anthony Patch, the Internet’s top “go to” resource to explain the science and the dangers of CERN, with S. Douglas Woodward who has written extensively on the topic of the paranormal, the occult, and the implications for Western civilization. CERN is an icon for the strange combination of the highest scientific research, with the deepest and darkest occult quest for truth. It is interesting that the Bible doesn’t begin with a warning that both good and evil exist. Nor does it begin with a warning to do good or a prohibition of sin. When God created the Cosmos, it was structured, ordered, and existed in perfection. And yet… evil lurked in the background. It was not a “force” — it was a person. 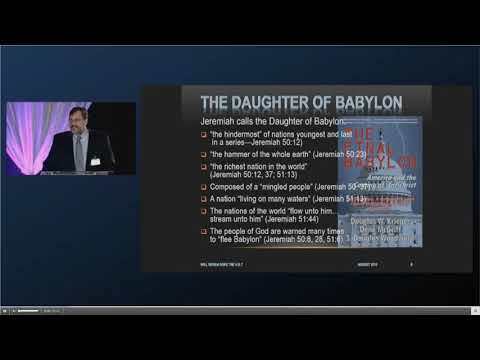 Christians believe that the reason God made it so clear “in the beginning” that everything was good was because something very bad was going to happen that would cause His creation and its creatures to “go sideways” – or in more proper theological wording – to experience evil firsthand by making an “unprogrammed first choice”, a willful decision to go against the plan of God and disobey His rules. This decision was our decision. Adam and Eve made the choice to disobey God (and every person since then ratifies their choice). 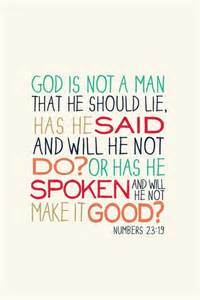 This outcome was certainly foreseen by God, but it was not foreordained or chosen by God. Humanity chose to break the rules – and so sin and death entered the Cosmos. The Bible says that all of creation has been subjected to this curse BUT with an eye toward its redemption. (see Romans 8:20-22). This state of things is a major cosmic principle too. While it will not be taken up here, there is a view in the philosophy of religion that evil must exist for good to be seen. That is to say, “We must have contrast or there would be no distinction.” Judeo-Christian affirmations teach that this is a rationalization of those who knowingly or unknowingly are fooled if not consumed by evil – namely, humanity’s most intellectual and esteemed thinkers. Evil did not have to come into being to provoke the good. And yet, God demonstrates that He can make good come from evil (Romans 8:28) “to those who love Him and are called according to His purpose”. We learn in the New Testament that God’s creative act not only involved the Son of God, whom Christians identify as the Second person of the Trinity, but this Son was the very person who brought the creation into being. In the New Testament’s Gospel of John, this Son would be called “the Logos” – The Word of God. HOW CAN GOD BE GOOD AND THERE BE EVIL? Besides providing this “prologue” as a foundation to our revision of reality – our cosmology, we must go a few steps further regarding the nature of evil and provide additional context. If we don’t, some philosophers, theologians, and agnostics will dismiss this study as ignorant of the classic issues in Theology. We wish to acknowledge we are quite aware of the issues and our discourse transpires in light of them. To address the issue, we provide this summary on “evil” for all readers. Bad Outcomes don’t Imply that God is Evil. His Genius is that He turns evil into Triumph. The problem of evil is generally stated as a dilemma: “How can God be all good and all powerful and there be evil in the world? He is either evil for allowing it to exist, or worse, He created evil.” Alternatively, He cannot be all powerful for horrifically evil things happen in our world. An answer to the problem of evil that attempts to “justify the ways of God to man” by explaining God’s reasons for allowing evil. Two of the more important theodicies are the “soul-making theodicy,” which argues that God allows evil so as to make it possible for humans to develop certain desirable virtues, and the “free will theodicy,” which argues that God had to allow for the possibility of evil if he wished to give humans (and angelic beings) free will. Theodicies are often distinguished from defenses, which argue that it is reasonable to believe that God has reasons for allowing evil even if we do not know what those reasons are. The challenge posed for Cosmology also involves metaphysics (the “really real” or ultimately real elements of the Cosmos). Specifically, the conundrum comprises “the dualism dilemma”: Is all reality subsumed in being one or the other: is all that is either good or evil? Are the two necessary for one another to exist? Did one exist before the other? Will one outlast the other? Frank Sinatra once had a hit song called, “Love and Marriage”. written by a pair of his favorite song writers, Jimmy Van Huesen and Sammy Cahn. The lyrics went like this, “Love and marriage, love and marriage, go together like a horse and carriage. So let me tell your brother. You can’t have one without the other.” Are good and evil like that? Are they always paired like positive and negative charges in an atom that forces the atom to stay intact? Philosopher F. G. W. Hegel is famous for his “Hegelian Dialectic”. Hegel’s concept of how history progresses is the conflict of good and evil. His dialectic asserted that first something happens — a thesis. Then this forces an opposite force to arise — an antithesis. Hegel went sideways, however, when he stated that the two finally combine into a synthesis. Many, particularly Christian intellectual Francis Schaeffer, blamed Hegel (rightly or wrongly) for stating that truth is not purely good or purely bad, but good can become evil or evil can become good. 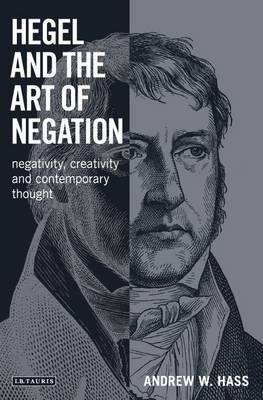 Hegel saw “negation” as vital to the process of moving forward. Whether Hegel meant this aspect of historical reality to be transposed into the concept of truth and error, is a another discussion for another time. What is important to our world today is that many cite the “Hegelian Dialectic” as a philosophical justification for “the end justifies the means”. Or, in some cases, that as a society we should be willing to sacrifice the individual for the collective good, giving rise to “collectivism” or its more recognizable name “communism”. Or as Spock said to Captain Kirk as he died from exposure to radiation poisoning, “The needs of the many outweigh the needs of the few, or the one”. And yet, the Bible warns us to underscore that there is a distinction between good and evil. We are to practice good and abstain from evil. “Woe to those who call evil good, and good evil” (Isaiah 5:20). Dualism — Does it take Two to Tango? All religions attempt to explain the universe using the terms good and evil. Additionally, critics consider “dualism” bad form and an intractable problem to avoid at all costs. 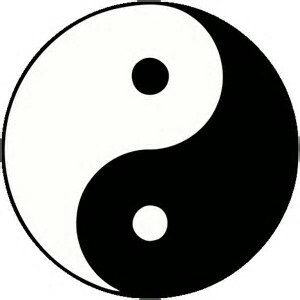 For example, ancient Manichaeism (founded by fourth century personage, Mani, 216 — 274 A.D.) was a form of dualism postulating two equal but opposing divine realities, a good power of light and an evil power of darkness. Theism has a dualistic dimension in that it makes a clear distinction between God and the created order, between the infinite and the finite. .
Lewis goes on to point out what “the catch” is. We can’t simply attach “good” to God and evil to “Satan”. Nor can we state that we have a preference for one or the other because that isn’t really certifying something to be truly “good” or “bad”. Furthermore, if we say that there are rules to make one right and the other wrong, then the rules for what is right or wrong wind up being established as the “higher God” – higher than either of the two powers presumed to be the equivalent of “good” and “evil”. Consequently, we don’t resolve the dilemma this way. We must not talk about good and evil “existing” as if they are realities unto themselves, locked in eternal opposition like the “good side of the force” and the “dark side of the force” prevalent in the storyline of George Lucas’ Star Wars movies. Instead, we must talk about persons or entities possessing both power and will to make decisions and put their decisions into motion within the creation. Having said that, I am now able to emphasize that much of this volume (Revising Reality) will deal with entities, both human and non-human that in fact exist in the visible or invisible worlds of the Cosmos. Much of the story we will tell resides in describing the relationships between these entities. These relationships are fundamental to the Cosmos, they are dramatic, and they are some of the best kept secrets of Judeo-Christian thought. True religion — Christian and biblical religion — deal with personages not with impersonal “forces”. This is key. Therefore, we will not get lost in a dualist dilemma. But we will dig deep into a discourse focused on two types of beings/entities. First, we will consider persons who love, nurture, and care about the creation and who choose to side with the Creator, the only true God who we know as Yahweh as well as His co-eternal Son who actually did the creating, Jesus Christ. Secondly, we will discuss beings/entities that are persons who despise, destroy, and seek to transmogrify the creation, including us – humanity (like a type of negative alchemy), into something other than what the Creator originally designed and fashioned it. These sentient creatures are persons both human and non-human. Now, as it concerns God and Satan: First, we affirm that the God Yahweh is all good AND all powerful. Secondly, Satan is a created being, a person who opposes God. He is not equal in power nor, as Mormonism supposes, is he a son of God like Jesus is (as if they were brothers) caught in a sibling rivalry. Jesus is co-eternal and co-equal with God. That is why Christian Cosmology and Christology are so tightly coupled. Evans, C. Stephen. Pocket Dictionary of Apologetics & Philosophy of Religion: 300 Terms & Thinkers Clearly & Concisely Defined (The IVP Pocket Reference Series) (p. 42). InterVarsity Press. Kindle Edition. Ibid., (pp. 36-37). 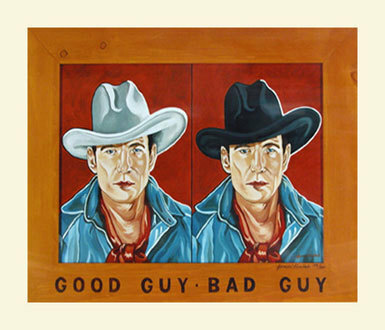 Which also posits a “good vs. evil” dualism. It has nothing to do with Zoro, although Zoro himself, like Batman, is a fictional vigilante that blurs the distinction between good and evil, a common meme of literature of all ages. 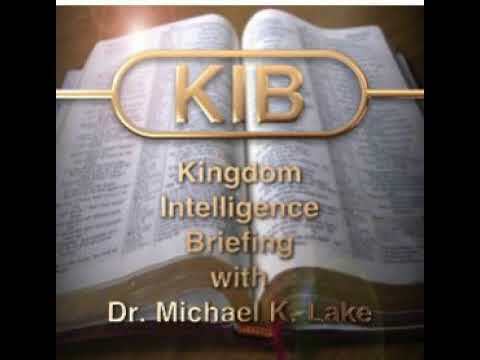 The Bible itself has the warring personages. God and Satan. Christ and Antichrist. Mormon Cosmology is a fascinating but confusing amalgamation of Freemasonry, Gnosticism, Christianity, Hinduism, and the “gospel of Extraterrestrials”. It is highlighted by the assertion that God’s triune nature involves each of the members of the Trinity possessing bodies, including having flesh and bones. It remains quite foreign to biblical cosmology and anathema. Trees are Symbols of the Creation’s Goodness. They Reach to the Sky when Rightly Rooted in the Earth.